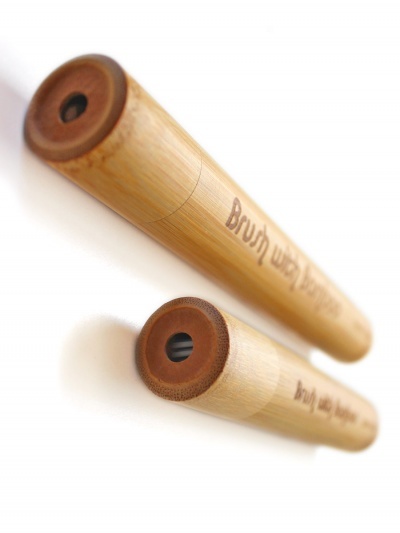 Keep your Brush With Bamboo toothbrush safe and clean with a bamboo travel case - made from 100% bamboo. Available in 2 sizes: kids and adults. Toothbrush not included. 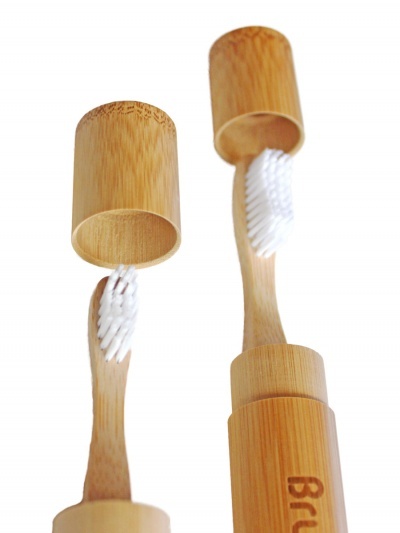 Keep your Brush With Bamboo toothbrush safe and clean with a bamboo travel case - made from 100% bamboo! 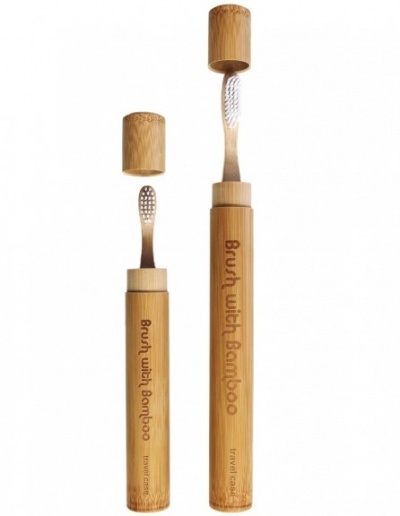 These are made from real whole bamboo stalks. No plastic parts are used, making this product entirely natural and biodegradable. Available in 2 sizes: kids and adults. Each travel case has small air holes to release moisture. Note: Brush not included. These cases also fit the bamboo toothbrush with bamboo bristles, adult toothbrush - adult case/child toothbrush - child case. Made responsibly by Brush with Bamboo. Bamboo is the fastest growing plant on earth. Because it contains naturally-occurring antimicrobial agents, there is no need for using fertilizers or pesticides during its cultivation. This bamboo is totally organic and wild. After it is harvest another stalk takes its place and grows to full size within just 2 years - a remarkable growth rate! This bamboo is never watered by humans - only natural mountain rain. At present Brush With Bamboo are harvesting less than 1% of the possible bamboo resources available in the sprawling Chinese bamboo mountain range where this bamboo is harvested. Less plastic, more bamboo!